It’s not by chance that the commune of Monforte d’Alba is highly reputed for its Barolo crus that include the likes of Bussia, Ginestra, and Santo Stefano di Perno. Head slightly south to Località San Sabastiano and one encounters Italo and Marisa Anselma’s Nebbiolo vines of Cascina Carrà that are planted in calcareous soils that closely resemble those of the prestigious zone just to the north. 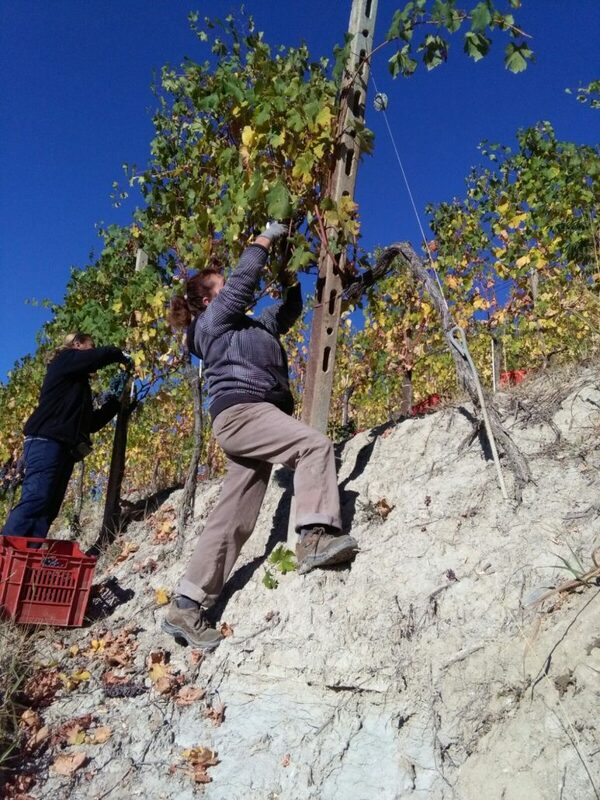 Actually, Italo and Marisa would say that their terroir is not only similar but exactly the same. 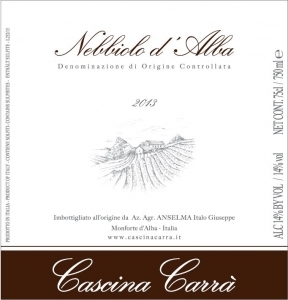 Cascina Carrà is a small, family winery that began in 1986 with six hectares of vineyards. After taking the reins from Italo’s father, the couple slowly expanded the azienda to its now fifteen hectares. Marisa jokingly takes exclusive credit for her thriving plants because of her fatigue while perfecting each vine’s training and foliage. 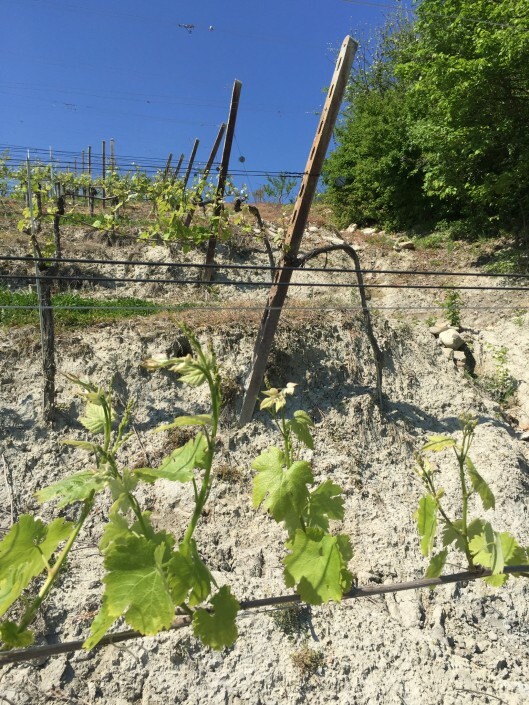 The duo has even endeavored to equip their steep vineyards with an extensive (and essential) drainage system over the years, managing to avert the devastating landslides experienced by many of their neighbors. 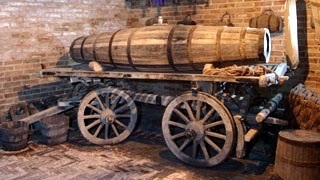 At the entrance to the winery there is a vintage carrà that nods at the region’s viticultural past, reminding visitors of the old casks that were used to transport Monforte’s wines long before they were world-renowned. 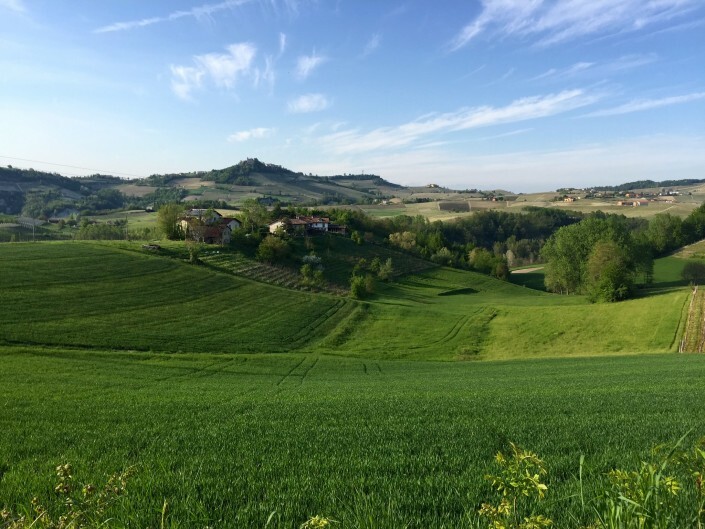 However, from the evidence of the farm’s well-appointed vineyards and varied, yet pristine aging casks in Cascina Carrà’s cellar, it is clear that Italo and Marisa’s winemaking vision is one that takes into consideration advancements since those times. 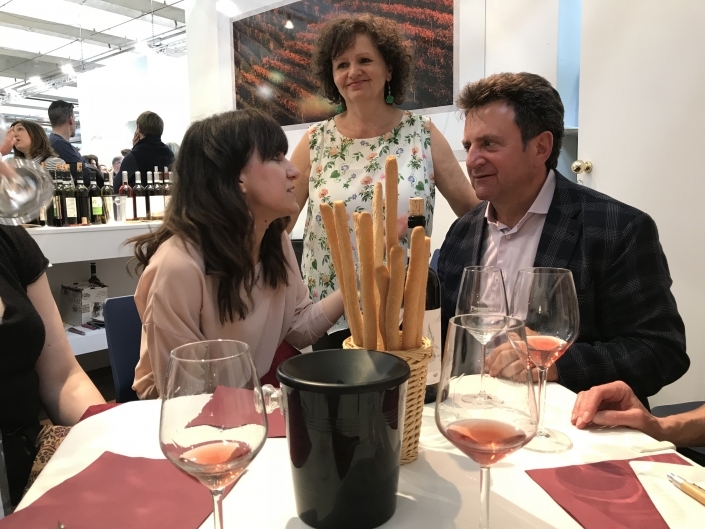 In many ways, they are able to look forward while looking back by holding close the distinct character that made their region’s wines famous while undertaking to refine their work as much as possible. 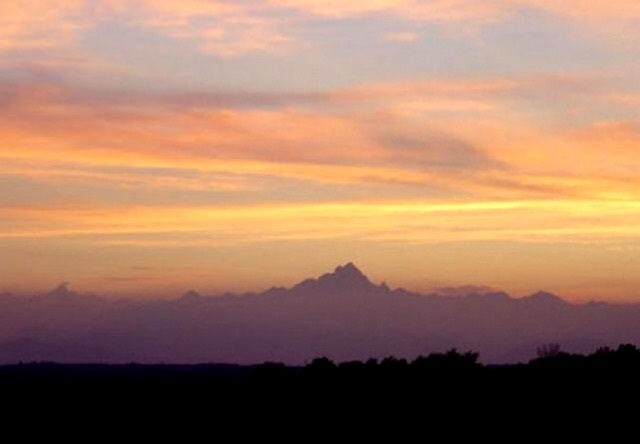 Cascina Carrà’s vineyard sites, like the noted crus, boast southwestern exposition. 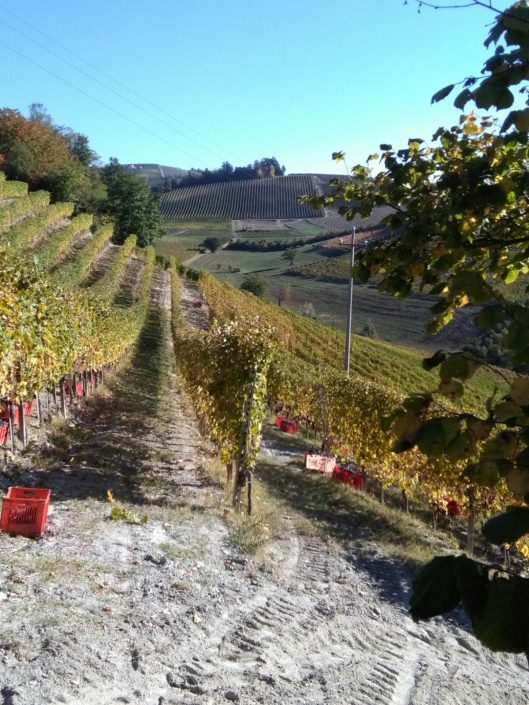 They are more than aware that Nebbiolo is a fastidious ripener that struggles to reach full maturation, even in “global warming” vintages. Italo and Marisa are mindful of the challenges that their star varietal poses so they opt to do some green harvesting—eliminating many grappoli before initial stages of veraison in order to ensure complete ripening, lower yields, and concentrated flavor. Their parcels are part of an impressive stage of vines—an openness and vastness that draws the eye to each of its dramatic contours. Besides the abbey San Sabastian and a narrow, winding road, the panorama of vines is undisturbed. 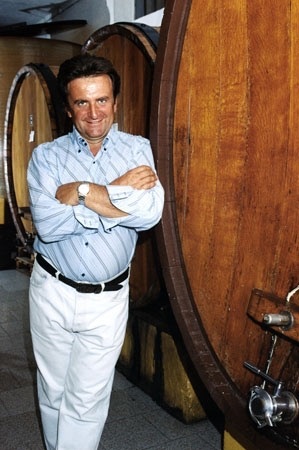 In superb vintages Italo conducts a prolonged submerged cap fermentation for approximately thirty days for Carrà’s Nebbioli, a technique used by some experienced Barolo producers in order to extract the most noble of tannins. 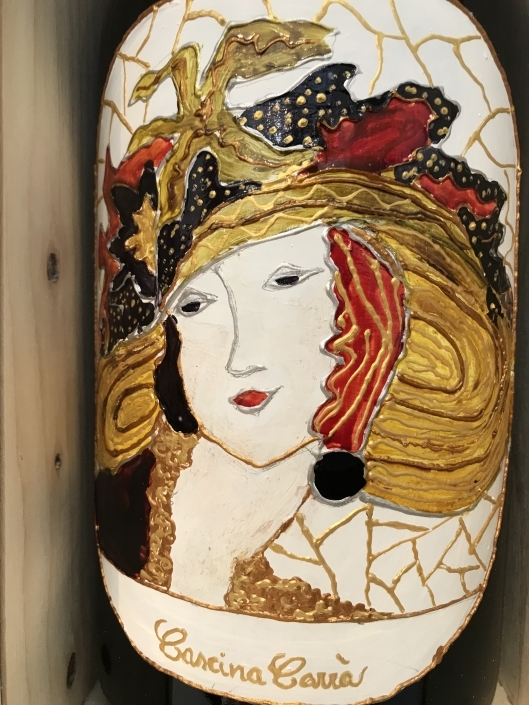 To put this method into context, many Baroli today are made with as little as ten days of skin contact in order to render the wine smoother, more user-friendly, earlier-drinking, and overall less aggressive. 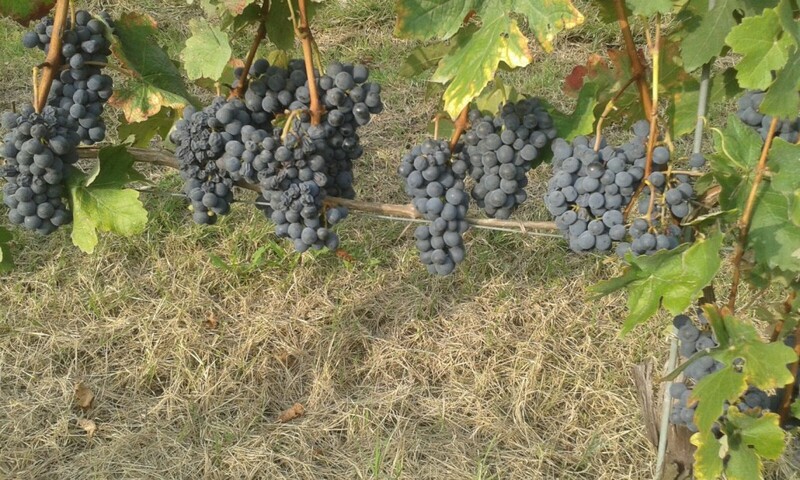 Even in less ideal vintages, Italo and Marisa still macerate for at least fifteen days (the average duration of the fermentation), always confident in their extraction process. Pump-overs during fermentation are also kept to a minimum in order maintain an elegance and a less rustic mouth-feel in the finished wines. 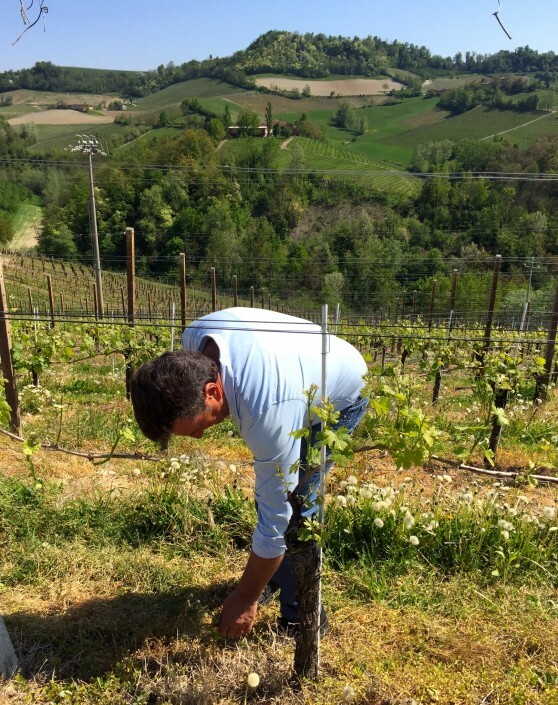 Like many esteemed growers in the area, Italo and Marisa choose not to certify their vineyards and cellar organically or biodynamically even though employ the products and principles that would enable them to do so. Rosato “Rosa Thea”: Based on the Nebbiolo, Piedmont, Italy’s most noble grape variety, this dry rosé is irresistibly fresh and quaffable. 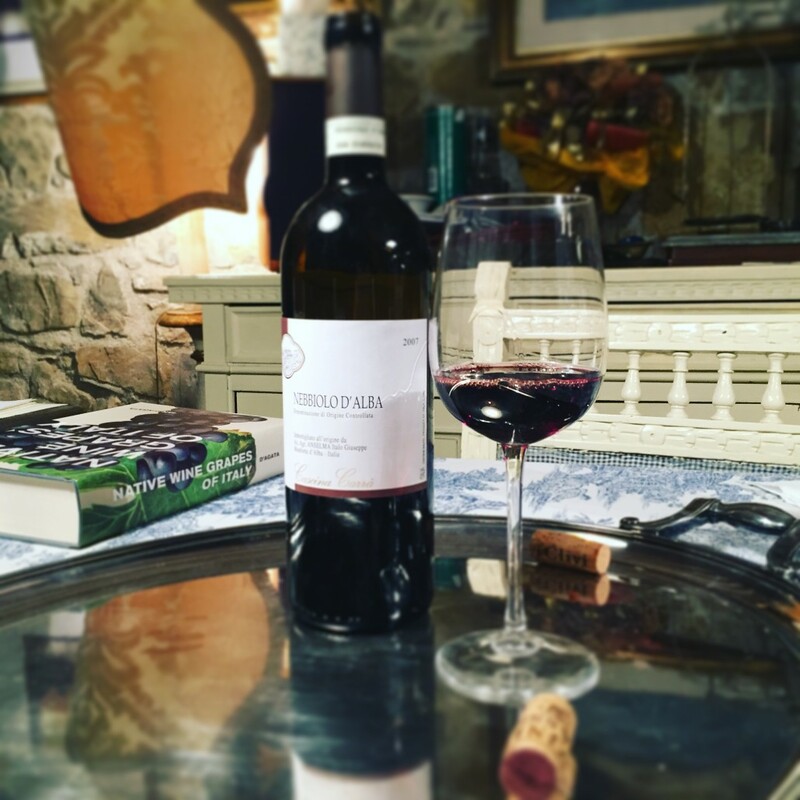 It hails comes from a steep, meticulously cultivated vineyard in Località San Sebastiano – Monforte d’Alba. 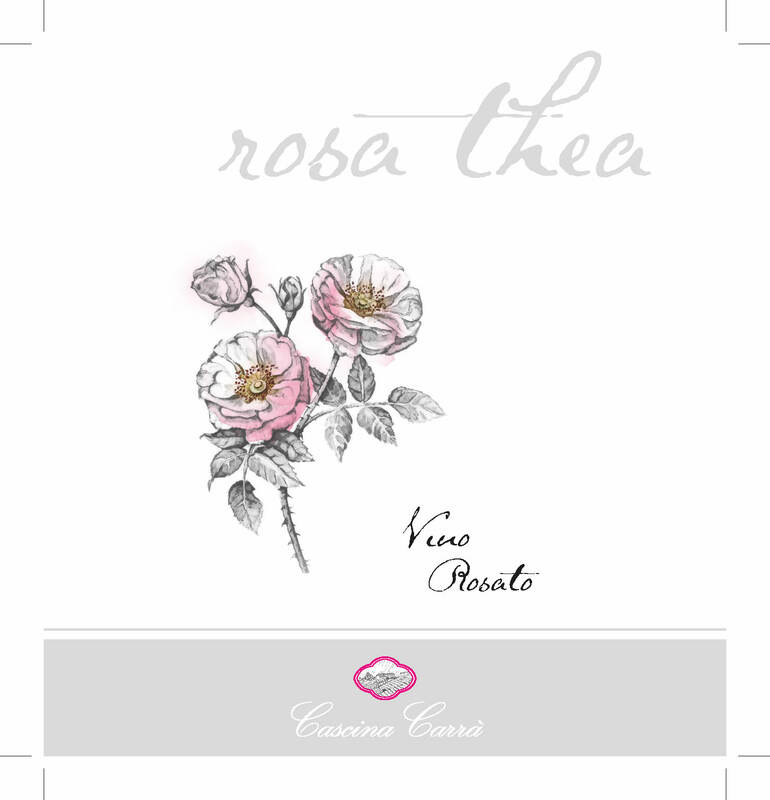 Crisp, elegant, and berry-scented, pair this rosato with a variety of cuisines including pizza, antipasti, bbq, fish, and salads. 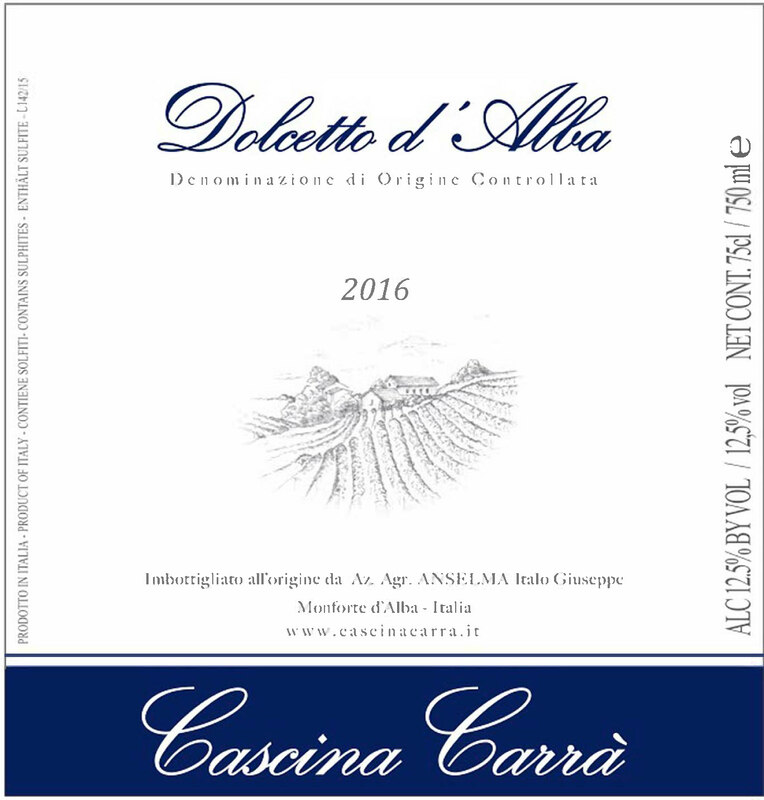 Dolcetto d’Alba DOC: This wine comes from a blend of parcels with vines of 25-50 years. Fermented and elevated in stainless steel, Italo and Marisa hold back the wine for some additional months in vat so it can develop a little more complexity before release. It shows a characteristic purplish hue and tart cherry/cranberry fruit with refreshing acidity and moderate tannins on the palate. Pair with salumi of all varieties, salads, and fresh cheeses. 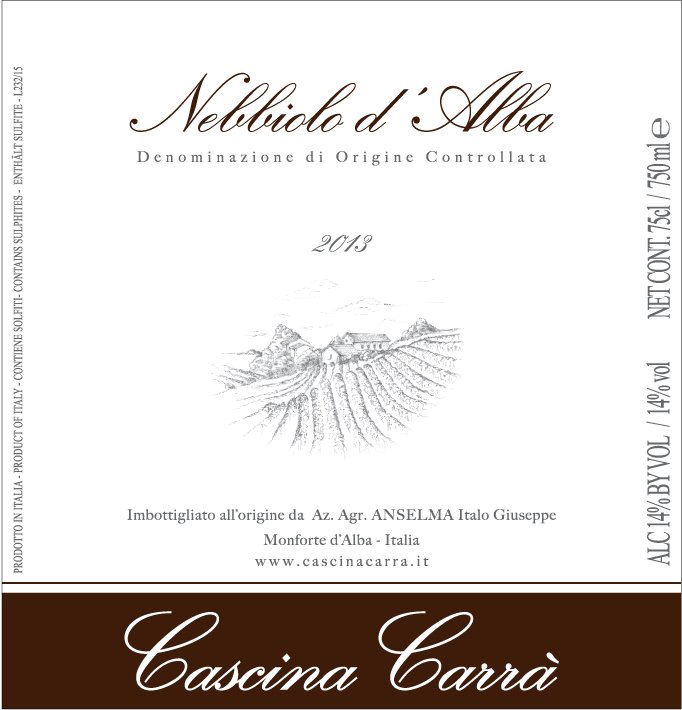 Nebbiolo d’Alba: This wine undergoes fifteen-twenty days of maceration, followed by aging in large oak barrels for a minimum of two years before bottling and release. It presents an intricate palate with characteristic wild cherry/underbrush against a backdrop of anise/tobacco/leather notes. In the mouth it comes across as poised and elegant with balanced structure and acidity that would accompany most rich, meat-based cuisines with aplomb.